Caffè Stern in the passage des Panoramas - plenty of reasons to go for lunch, dinner or coffee! "Mmm, this burrata is amazing! 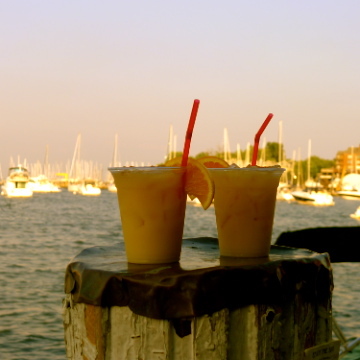 It's so incredibly creamy," I exclaimed as a sigh of delight escaped my lips. "Are you going to write a post about this place?" queried Donna in her charming Southern accent. "Nope, I'm just going to sit back and enjoy it." When Donna suggested that we meet for lunch at what was previously the Stern engraving boutique, I didn't have a clue that the Caffè Stern is the hot new address in the passage des Panoramas. 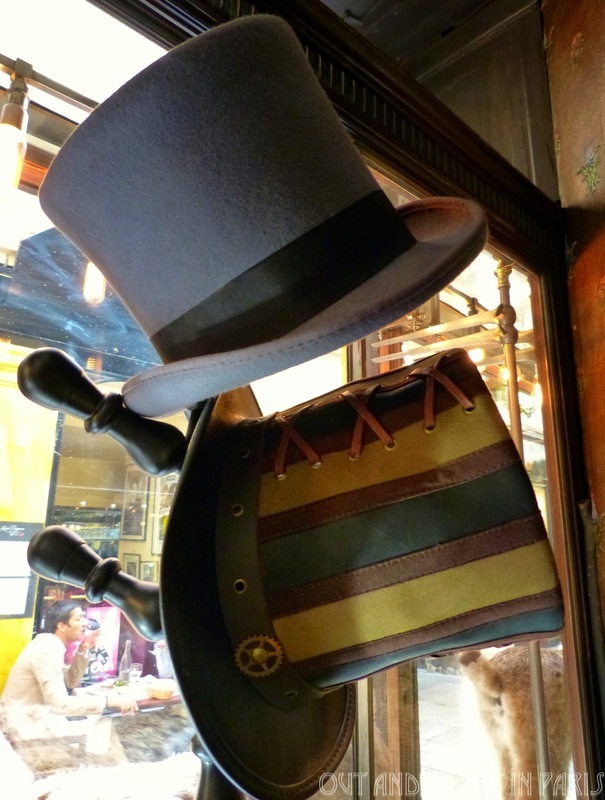 As I snapped a couple of photos of the Mad Hatter coat rack complete with felted top hats and a winged white rabbit checking his pocket watch, I overheard a stylish Parisian woman tell her companion that the restaurant's interior was typically Starck. She was referring to Philippe Starck, the innovative French designer whose whimsical decor paired perfectly with the carved wood panelling, delicate twisted pillars and patinated drawers of the historically listed monument. The menu composed by Massimiliano Alajmo, the youngest chef to ever receive three Michelin stars, offers such an intriguing array of options that Donna and I had a hard time choosing between the steamed margherita pizza, poached lobster with bread crumbs and curry sauce, Venetian cichetti and fried jumbo shrimp involtini with botargo. After much deliberating, I finally settled on the lunch menu with a selection of Venetian tapas as a starter followed by a creamy risotto drizzled with truffle oil. My enthusiastic comments as I took pictures of the sleek open kitchen and the table for two with a view of the covered passageway prompted Donna to reiterate that I should share this place with you. So, I am. Insider's tip: If you visit the passage des Panoramas in the morning or late afternoon, be sure to have a cappuccino or espresso at the Caffè Stern's cozy bar. After you enter the restaurant, turn to the left. 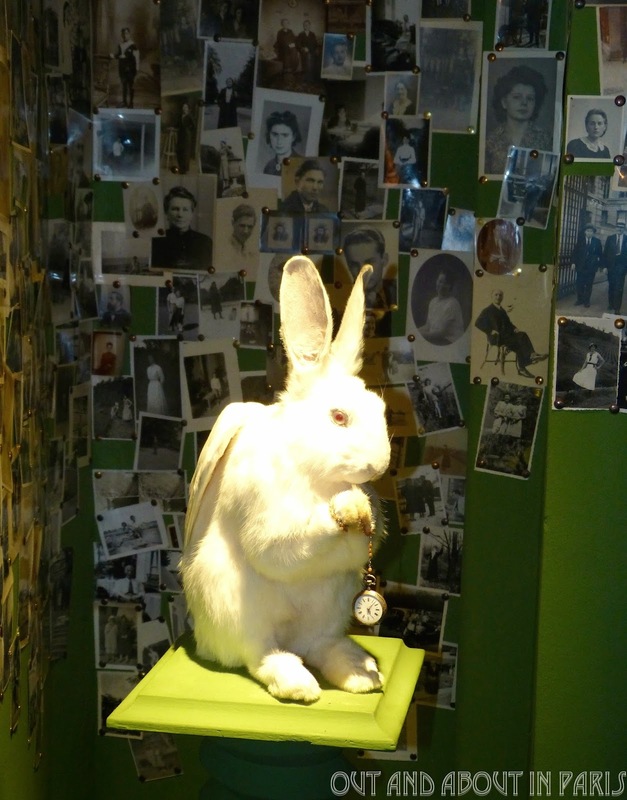 Don't miss the miniature Murano chandelier encased in a glass bubble in the first room and the winged rabbit in the nook on your right. I am sooo going next time I'm in Paris. I hope you enjoy it, Sasho! MMM!, sounds pretty good. I love the passages. Good for a rainy day. Love Denise. Denise, As you said, the passages are perfect for a rainy day! I look forward to seeing them decorated for the holidays.